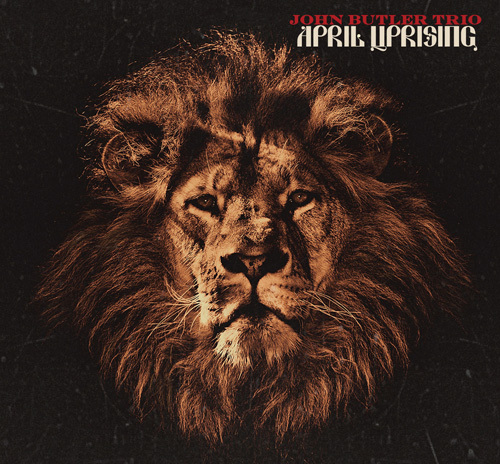 ‘April Uprising’, due for release tomorrow, is John Butler’s fifth album, and the first with his new lineup of bassist Byron Luiters and drummer Nicky Bomba. It is also John’s most satisfying, complete, and diverse work to date. First impressions of the album belong with the magnificent packaging. It’s a relief to see such a well-presented physical copy of an album in a time where many are debating the value in even releasing physical copies of music. Accompanying the CD is a poster, as well as a stylish lyrics book with printed words that are actually large enough to read! Once you get to the music, the strength of the album is immediately visible. Opener Revolution is a predictably political track, with John singing “Sometimes I do wonder how we do sleep, serving the dodgy companies we keep”. It’s a little be relevant. More than this however it is also a very catchy track that builds to a chorus that, rather than being depressing and disheartening, which would have been all to easy to write, is uplifting and inspiring. We have of course come to expect political commentary as a part of John’s music, and first single One Way Road, which topped the Australian airplay charts last year, also doesn’t disappoint. “We can’t follow men if their hearts are hollow… raise your fist if you believe in revolution!”. It would probably sound pretentious or misplaced if it was being spoken by anyone else, but coming from John Butler, who lives his life the way he preaches, it seems truly genuine. After the first few songs the album risks getting bogged down in political issues and rhetoric, but the true strength of this album, and one of the many reasons why it stands out above previous John Butler Trio releases for me, is that not all songs have some political connection. Playing music to get across a message is admirable for sure, but playing music for the sake of playing music is also fine, and ‘April Uprising’ recognises this. 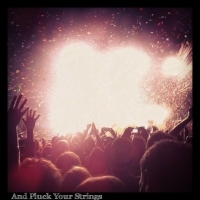 Second single Close To You demonstrates a more rock side to John Butler Trio’s sound which was hinted at in previous album Grand National but not explored as thoroughly as this. It displays perfectly the undeniable musical skill of John, and also showcases the talents of the new members of the trio, who seem to have moulded perfectly to the band. To Look Like You is one of my favourite tracks on the album, where John positions himself as a teenage girl struggling with issues of the self, repeating “I’d do anything in this world to look like you”. It is a surprisingly heart-wrenching song about a shared human experience that I’m sure many people will be able to relate to. Whether you take it as a call for change or a lament of human nature, it is a wonderful and thought-provoking track. The finger-picking on Ragged Mile is also simply astounding. I can still remember the first time I heard and was blown away by John’s old acoustic instrumental track Oceans and the sheer skill on display, and this song is almost reminiscent of it, even if it is with a little bit more singing. Fool For You is written about the simplest and most complicated of musical topics, love, completely without social commentary. It displays yet another facet of the album, with a strings orchestra of all things providing the backing, and building to an absolutely gorgeous conclusion. At fifteen tracks long it is nothing if not a comprehensive album. More than this, however, it is utterly complete. It draws on a huge range of influences, displays a wide variety of musical styles, and deals with topics ranging from highly political to highly personal. Indeed the strength of ‘April Rising’ lies in its hybrid nature. It is able to perfectly move from social commentary to love ballads with ease. The only constant throughout the album is the musical skill of all those involved. Amongst all this, however, the greatest achievement of the trio is that the album is still fun. Whether you like your music political or not, there is something to adore about this album in that it has struck the perfect balance. It is catchy, clever, sophisticated, but yet natural. The production, whilst certainly thorough, never threatens to eclipse the raw nature of the music. There’s definitely more commercial appeal on this record than previous John Butler albums, but I’m so sick of hearing how that’s a bad thing. In some cases it can be good, and to me this is one of those times. I find it hard to imagine this release won’t radically expand John’s listener-base. I honestly did not believe that I would like this album as much as I do. ‘April Uprising’ will be both fresh and familiar to fans of John Butler Trio’s older music, in just the same way that it is passionate, political, personal, and fun. And that’s just what you want. Sounds like a good listen. I really enjoyed “Sunrise Over Sea”. “Grand National” didn’t have quite the same effect on me, but to be fair I didn’t give it a huge listen. It had its moments though. But I might have to pick this one up sometime. I’m just previewing this one the JBT webiste, definately sounds a lot different to any of the other albums, with much more of an electric guitar presence. It took me a while to get into Grand National, but I love it now, and I think this one will be the same, which is much better than releasing ‘sunrise over sea’ 5 times in a row :P hope theres still some wicked long guitar solos, thats the only thing thats slightly diminshed over the years. Cant wait for the album!